Nothing in life is ever an accident! The way L&J interiors came about however truly did seem like an accident. It all began with a singular job to help out a struggling developer. He had an apartment on the market that wouldn't sell and an idea was born to stage the apartment which would then attract potential buyers. 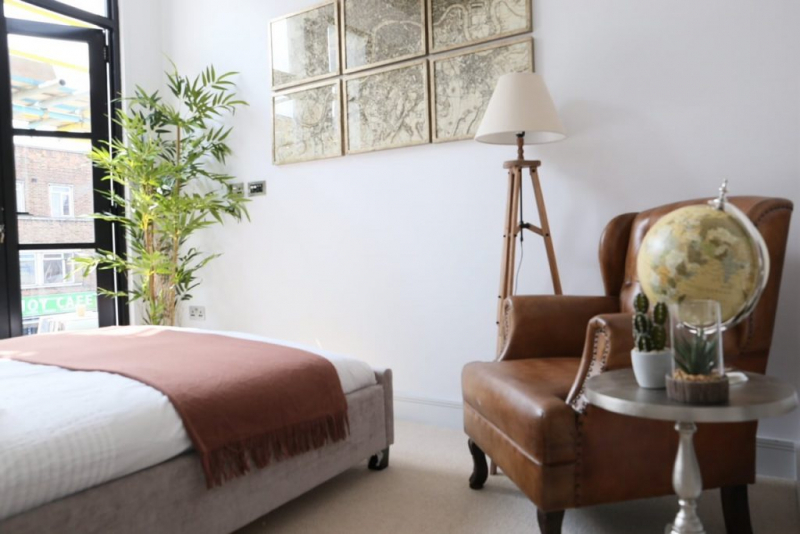 Within two weeks of staging this London City apartment, the developers received an offer, followed by a down payment, and the property was sold! The L & J interior idea was, then, born! In the year of 2017-2018, we've put in energy, passion, love and dedication to build the L&J brand. Its standards are of luxury and high performance. We have partnered with many developers in the City of London designing properties and homes in a way where the average selling time has been reduced by 70%. No two homes are ever staged the same! We not only design but also hand pick our suppliers and go the extra mile to make sure that each home has been perfected down to the minimum details! As our company started to gain momentum and our brand recognition, so did the need for expansion. Joining our ever growing team are experienced designers from New York to Singapore bringing culture and sophistication of other big cities to the field of interior design. What’s unique about us is that we are not just a company offering home staging and interior design services, but we take it a step further: we now offer our outstanding CGI service to developers. What is a CGI?! A CGI is a computer generated image (or images) that reflects what the show home might actually look like once it’s done. Therefore, CGI speeds up the selling process tremendously for developers and potential buyers. With L & J interiors, it’s all under one roof. From start to finish we have the entire design and selling process covered. That is precisely why we stand out from the rest. Our goal for the coming year is to branch out all across the UK. We have taken up a new office space in Moorgate, conveniently located in Central London, and we are very much looking forward to the move. We are continuously investing, and bringing satisfaction to our clients is our utmost intention. Our philosophy is such that if we were to be living in that home how would we want it to be? Coming from that space, is how we design and operate.